Janet Lau Yoga & Wellness - Writing - What does it mean to be opened to the experience without reacting? How does that transform our experience? When we begin to take on the mindfulness practice, we might run into questions such as: does mindfulness mean I just let go of everything (e.g. negative feelings) and be open to everything in life? When we let go, does that mean we don’t want to feel anything in our experience? When we be still and observe, does that mean we don’t do anything to respond to the situation we are in? Let’s first take a look at the meaning of mindfulness again. Mindfulness means to bring the heart (or mind) to the present moment and be fully aware of what is happening in the present moment. Mindfulness is more like a surveillance camera being aware of all activities in the room, without adding or subtracting anything. Zen master Thich Nhat Hanh says to be mindful is to be mindful of something. So when we observe our physical bodies in an open, non-reactive way, then we can say we are being mindful of the physical body. We can be mindful of our speech, our daily activities, our thoughts, etc – with equalimity without trying to fix or hold onto what we observe. The stronger our mindfulness is, we can start to notice how our minds are conditioned to react in an unconscious way. It is a good idea to understand how our mind works, and here I would use the example of being bitten by a mosquito: 1. A stimulation takes place (e.g. mosquito bite), 2. we have physical sensations (unpleasant), 3. our minds start to create a perception about the sensation (e.g. itchiness, or annoyance), and eventually that leads to 4. our actions (scratching). With the practice of mindfulness, we are trying to delay the time from 1 to 4. One of my teachers Frank Jude Boccio said some very advanced practitioner, they are able to be aware of the time between the stimulation (1.) and the physical sensations (2.). However, with the most of us, 1 and 2 happen almost simultaneously and it is difficult to be aware of that space in time. However, the Buddha suggested that we can insert mindfulness between the physical sensations (2.) and perceptions (3. ), or at least at the beginning, we can create more awareness between the perceptions (3.) and our actions (4.) so that we can prevent engaging in actions that later we regret. 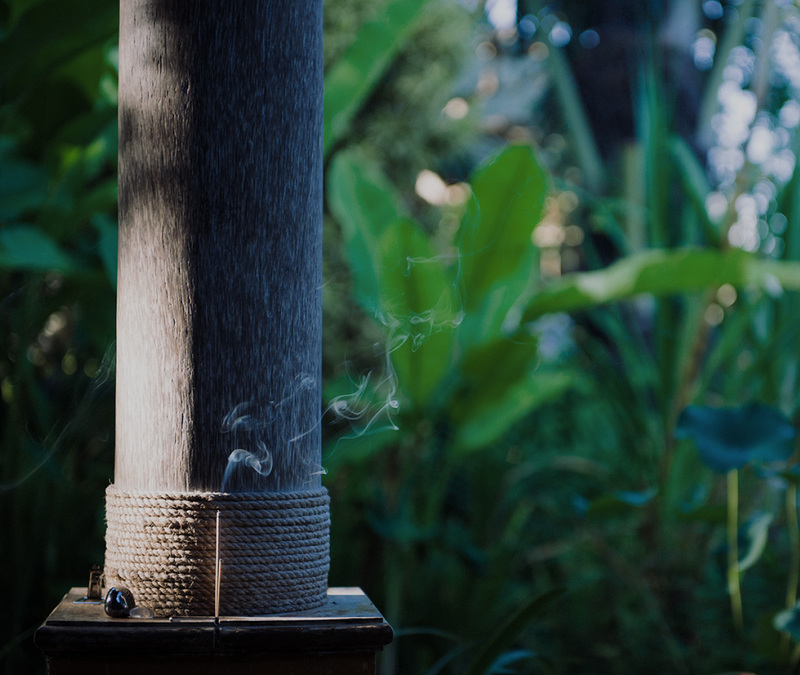 Now, let’s study how the practice of mindfulness can affect our experience, using the mosquito bite analogy from above. The first person, who has a mindfulness practice, he is aware of the mosquito bite and he notices unpleasant feelings is arise in his body. He notices that it is just an itch which is impermanent so he just allows the unpleasantness of the itch to be there without being annoyed by it. About a day later, the mosquito bite is no longer itchy. The second person is aware of the mosquito bite, she knows that the bite is itchy and is annoyed by it. She notices that she has the seed of annoyance and impatience in her and she also knows that the feelings of annoyance and impatience would not stay with her forever, so she decided to breath and allow the mental formation of impatience to stay with her. She did not say to herself that she is bad because she is annoyed, rather, she just take care of her annoyance as the way it is. Because she understands that it is her annoyance that created unease in her, and her unease would not be soothed by scratching the itch, so she does not scratch the itch and the next day, the mosquito bite is no longer itchy. The third person notices that she has been bitten by a mosquito, she is annoyed by the itchiness and right away she scratches it. Indeed, the itch bothers her so much that she needs to keeps on scratching the bite, the itch did not get any better, and she continues to scratch her skin and it starts to bleed. The wound is now so severe that she has to see a doctor to stop the infection. From the comparison, we notice that the three people have the pain (the itch), but depending on the level of awareness, the degree of suffering varies. The person who has the highest degree of mindfulness, he has the most intimate relationship with the itch, he feels the itch completely and fully, but his mindfulness takes care of the mental agitation before it arises and he does not suffer from the itch. The second lady has an intimate relationship with the agitation but her awareness reminds her that if she reacts according to the agitation, she would wound her skin and she does not allow her habit to take her into further suffering. With the third person, she does not have any mindfulness and she lets her reactivity drives her so far that she does not care whether she scratches her skin till she bleeds. Going back to the questions at the beginning, mindfulness is about observing and being intimate with the present moment. Just like the first practitioner, he tries to feel the itch and how that manifests on the physically, trying to understand the feelings completely. This is what we mean by having an open heart to embrace our experience. We do not judge that the itchiness is bad and non-itchiness is good. We just stay with the itchiness without trying to eliminate it. Letting go is not something that we do, but rather it happens naturally. The first person just stays with the itch without making it a problem – he accepts the itch as an itch. Because of this, the frustration loses its grip of this person. We mentioned about this earlier, a skillful mindfulness practitioner actually feels the sensations so much, just that he does not let the sensations (or his senses) to dictate his action. Because this person understands the itch so well, that he can understand the pain of another person who got bitten by the mosquito – this person has more compassion about others being bitten by mosquitoes. When we have mindfulness, we know that some of our habitual actions actually aggregate our pain, instead of decreases it (scratching the itch makes you itchier) and so we can choose not to react habitually but respond to the situation with wisdom (put on after bite on the affected area). By not reacting, it does not necessary mean we do nothing. But rather, instead of reacting without having much thoughts about the consequences, we first become intimate with the sensations and our mental formations, as well as the situation. Depending on the situation, we find the best respond to the situation instead of saying or doing something that we regret later. This is just one of the ways to embrace the bodily sensations with mindfulness, this is not the only way to liberate our minds. Any ways that liberates you and others in the long term is a good practice. Here I wish you a fruitful practice and peace.